Why had we never gotten off the 101 freeway in Summerland before? Maybe it's because when we pass that way we're usually headed for either Santa Barbara or the Santa Ynez Valley, and it seems we should just press on and get where we're going. Maybe it's because we never knew there was a really great little highway grocery there. Maybe it's because we never knew about the Summerland Winery. 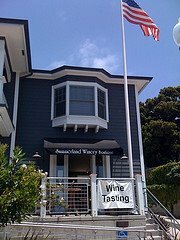 The tasting room is in a tidy little building in the seaside community of Summerland, between Los Angeles and Santa Barbara. There's a bay window upstairs and a flag adorns the front, flapping in the cool ocean breeze. I had imagined it would look more like a boutique and less like a tasting room inside, but I was wrong. Ample bar space beckoned, so I picked up a tasting menu and got started. I had just sampled Summerland's wares at the Ojai Wine Festival a week earlier - my pourer recognized me - so I knew there were good wines here. The tasting fee is $8, $12 to keep the glass. Sauvignon Blanc, Santa Barbara County, 2007 - A pungent aroma leads to tropical flavors and grapefruit. The acidity is quite nice, so I would guess it's a good wine to have with food. It's very crisp and refreshing, so you could just sip it if you like. Pinot Gris, Santa Barbara County, 2008 - More tropical flavors, and a nice clean finish. Chardonnay, Rancho Santa Rosa, 2007 - 10 months in oak left its mark on this one. It's very oaky, although with a clean taste and finish. Pinot Noir, Santa Barbara County, 2007 - Brilliant aromas and flavors in this one - black cherry and clove all over the place. 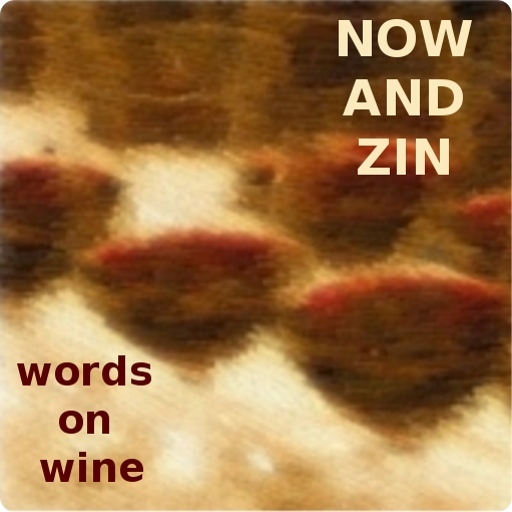 This is not subdued - it's a very lively Pinot Noir. Grenache, Paso Robles, 2006 - This medium-bodied Grenache surprised me. It tasted a lot spicier than I expected. Fairly nice, but I can think of several other Grenaches I like better. Cabernet Sauvignon, Paso Robles, 2006 - The black currant profile is very strong here. French oak for 14 months gives a nice effect, but the wood is rather restrained. Orange Muscat, Santa Barbara County 2008 - This dessert wine isn't sappy, it's nice and crisp in fact. The sweetness is there, it simply isn't overdone.